The theme is Anything goes plus Flowers. 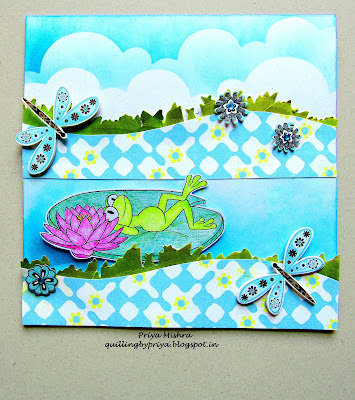 I made this card using beautiful Digi stamp from our wonderful sponsor for this challenge SheepSki Designs and colored the image using FaberCastell Color pencils. For rest of the card I used Patterned Paper and Distress ink and stencils. Used puffy stickers too. Do enter our challenge to win wonderful prizes and check out beautiful DT Creations.